I’ve been slowly entering my extensive collection of handwritten recipes into my newest app obsession, Paprika. This neat little app stores recipes, schedules meals on a weekly calendar, and builds a grocery list with an easy and clean user interface. It also syncs across my computer and mobile devices, so family meal planning information is always close at hand. Enough said…check it out. As I enter old family recipes into Paprika, I look critically at ingredients and cooking methods with an eye toward improvements and updates. I’ve made my mom’s waffles hundreds of times over the years, but when I started entering the recipe, it suddenly dawned on me to replace the vegetable oil with melted butter. What an upgrade! The waffles are lighter, fluffier and of course, buttery. How could I not share the new, improved version with you? Place eggs, milk, and butter in a medium bowl and blend with a whisk or hand mixer. Sift flour, baking powder, and salt together, and add to liquid ingredients. Whisk until well blended. Bake according to the instructions for your waffle maker. 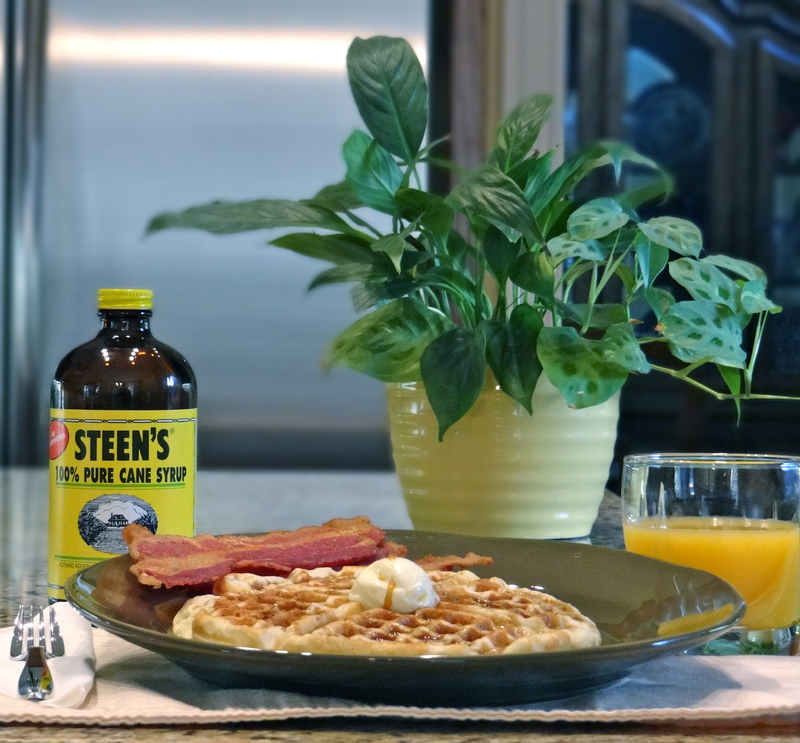 One thing hasn’t changed about our favorite Sunday morning breakfast; we always enjoy our waffles with Steen’s 100% Cane Syrup. It is a boldly delicious, pure product without additives or preservatives.